There is a generosity principle at work in the lives of God’s followers: a) You give back to God, b) He gives back to you, c) you can’t outgive God. Ever since He tapped Abraham on the shoulder and said, “I choose you,” God has been blessing His children. He does so as an expression of His incredible love. But he also blesses his followers so they can be a blessing to others. It is through Abraham’s children that God blesses the entire world. In fact, one particular child of Abraham – Jesus – is the very definition of generosity. 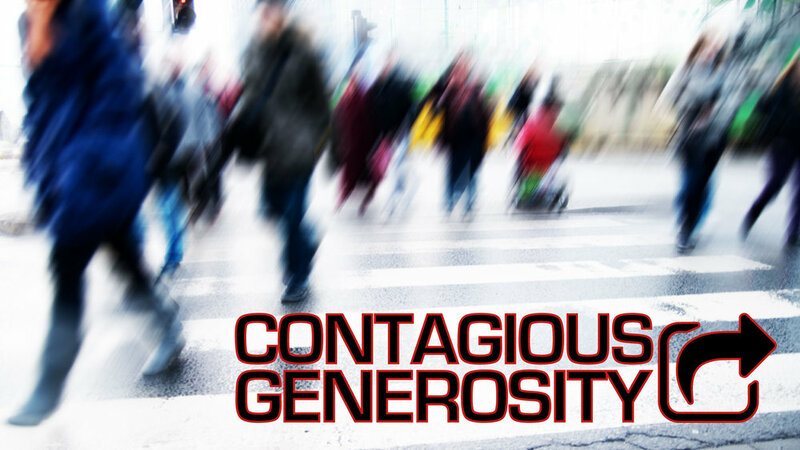 Having been blessed by God so richly, Christ followers are moved to go beyond merely obeying God in tithing, to honoring and worshipping God through acts of generosity. Acts that often become contagious, creating a momentum that cascades across families, communities and the entire world. We will be doing some extra activities during this series...a thing we are calling the Blessing Project. Click on the link to set up your mobile device so you can be ready! 01.28.18 - Are We There Yet?